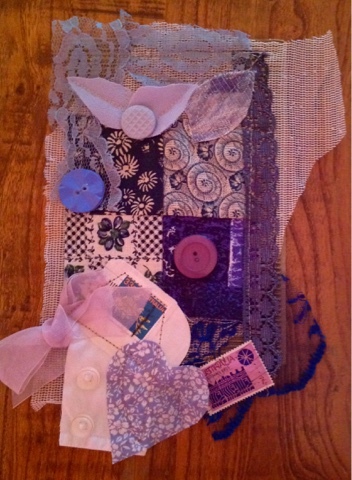 Puddleduck Grange: Happy MadHatter May Celebration to ME! 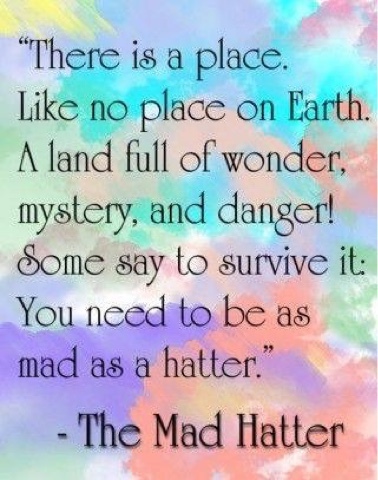 Happy MadHatter May Celebration to ME! Where HAVE I been? Not sure, really. The antic's on social media ( most days) take me back to high school, and creative thief infuriates me. So.......white noise.....shhhhh. I have enjoyed pen & paper lately. Taking your time to write a letter, and pay the wacky postal costs and hold your breath that it arrives, is a kindness not fit for most. 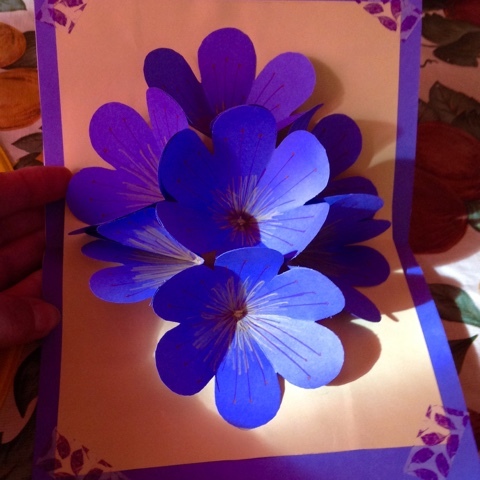 I am blessed with several PenPals that keep my faith in humanity intact ( sorta). C.S. Lewis 150 yr anniversary ( I may have got that wrong?) Tim Burton hasn't ! 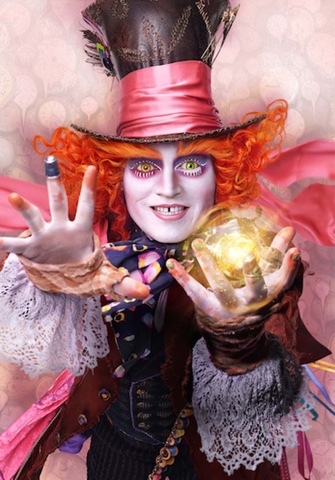 The new Alice Through The Looking Glass promises to amaze! I won't be hosting Mathatter May Celebration this year , for one, my enthusiasm is missing and two...we are moving our kingdom. Post and boxes full of creative ideas! Enjoy our warm months ahead and bundle up my friends who heading into their winter months! Yes my dear friend, next door to YOU! Hahaha! This is peppy! And yes. Facebook can be a bit like High-school. We're the nerdy girls in the back, right? And I see rabbits! Yours live in the dolls house with Legolas. She's very happy. 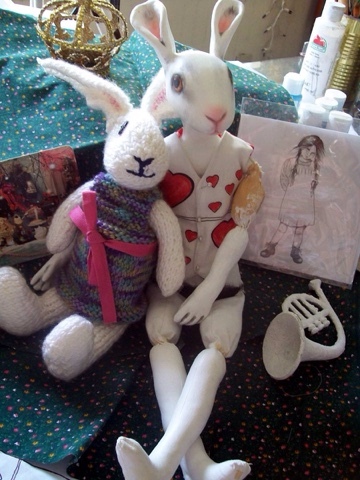 ;) And White Rabbit there is off to England! I am traumatized by High School. That's why I liked " Carrie" so much I think? I hope your move goes well. Best wishes in your new home! What nice cards! I hope your new kingdom is nice! Thank you! I think it will be warm and cozy! I miss you Debi! Love the treasures from your pen pals! I wish you all the best on your move! Big Hugs! I am all consumed right now, but will be back noising around blogland sooon! You enjoy our nice weather! Good luck with your move, please email your new address, it's been a while since I wrote to you, I must rectify that now that life has calmed down for me. I LOVE your little bunnies. I miss you as well! The white knitted bunny lives with Rhissanna now! Party everyday I hear! I think the next Hatter movie will be wonderful although I will miss Alan Rankin as caterpillar. Well hello there dear friend. I sincerely hope the move goes smoothly. Like you I'm very much looking forward to the new Alice through the looking glass film. Take care of you.